A friend of mine was telling me about the wonderful trip they took to Europe and how impressive the depth of history and culture were in each of the countries they either passed through or stayed to enjoy for few days. He commented on the wonderful and sometimes superficial observations he had about Paris and its people. Some of his observations were uninformed as he lacked the knowledge of French and Parisienne culture, which of course is natural as he was just a tourist spending only few days there. Having been a Parisinne for a number of years, I wanted to explain the background to his observations and provide at least an alternative perspective, but it would have taken me too long to do so and probably not have changed his views anyway. It is all right to have a not-so-accurate understanding of the culture, history and how they all impact today’s actions when you are a tourist. Reading about history and visiting sites does not lead to understanding the whole picture, or deeply rooted cultural differences; you have to live in that culture to fully appreciate it, at least for few years. As tourist though, you can get away with superficial observations, you are there temporarily and you don’t get the chance to dilute the culture. Porsche launched the 991 GT3 in the US during the New York International Auto Show on March 29, 2013 to an enthusiastic PCA crowd. The new generation GT3 boasts notable technological advancements including a 475 bhp naturally aspirated direct fuel injection (DFI) engine with 9,000 RPM red line, PDK+ transmission, rear axle steering, wider tracks front and rear, electric steering and longer wheel base compared to the previous generation (997) GT3. The result is a 0.6 sec faster time 0 to 60 mph and nearly a 10-sec difference per lap at the Nurburgring’s north loop with a lap time of 7 minutes and 30 seconds (some even say 7:25); that is only 2.3 seconds slower than the Carrera GT and 3 seconds than the 997 GT3 RS 4.0. There is no doubt that the performance of the new GT3 is formidable; however, its specifications, features and what it represents to the purists has also been equally controversial. According to Porsche, the new GT3 has been designed to be easier to live with on a daily basis and extract its full performance potential on occasional track use. For all practical and business purposes, seeing the significant increase in demand for GT cars that carry some the biggest profit margins, Porsche wants to use the label to attract new customers to the brand. Purists of the brand and GT cars are not in the same opinion just yet; the worry is the car being designed for tourists, whom may dilute the culture. Since the first launch of the GT model line in 1999, Porsche used and kept improving Hans Metzger-designed engine that was used in the 996-based Le Mans winning GT1 prototype. Mated to this reliable and high-performing engine has been the derivative of the famous G50 transmission. Together with an evolving chassis and suspension, the GT3 has been a benchmark for high-performance sports cars. With the new 991, Porsche is offering a 3.6 liter DFI engine along with a PDK+ transmission, neither of which yet has a racing pedigree nor have they proven their reliability. In addition, the 991 GT3 is loaded with more luxury and new technologies that add weight to the base car and incorporate even more computer-controlled driving features. This has caused suspicions among hard-core enthusiasts. Adding insult to purists’ injury, Porsche is not even offering the sport bucket seats or a manual transaxle as options, essential tools for track junkies. Purists thought the world was coming to an end when Porsche decided to move away from air-cooled engines to liquid cooling. Although an “era” of superb cars did come to a close with the model 993 air-cooled generation, the new generation of liquid-cooled engines proved it was the right choice for Porsche. I believe the new 991 GT3 technologies will also prove itself over time and win over all of us. So, what are the purists’ reservations? The 911 GT3 always demanded respect from its driver. It requires experience to extract its full potential. The level of satisfaction the GT3 gives its driver when driven well is incomparable to any other car that I have driven. A GT3 should not be easy to drive; it separates boys from men, or so goes the perception among some of its purists. In addition, the GT3 has a racing linkage and pedigree that is as important to purists as any other feature. 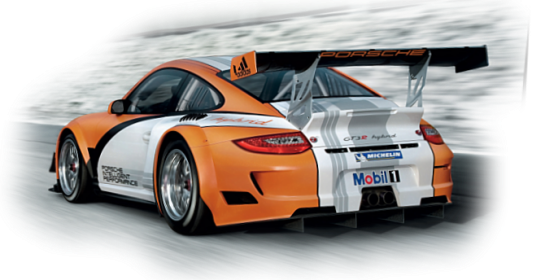 They need to know and feel that what Porsche is racing in international venues is incorporated into the DNA of the GT3. That racing heritage is buried deep in the history of the model starting with the RS and RSR cars of the ’70s and ’80s, and more directly with the famous Le Mans GT1 prototype. The prototype was not just an engineering exercise, nor a one-off effort, its technology and performance was fed into the first GT3 as well as Carrera GT. Porsche launched the original 996 GT3 in 1999. It was based on the 911 Carrera, which was known as the “Cup” and used in 1998. The two main purposes of the GT3 were to serve as the homologation basis for the FIA GT3 class and to offer enthusiasts a taste of the racing heritage without compromising daily luxuries and drivability. Porsche never made any efforts to reduce the GT3’s weight compared to the base 911. Although, Porsche did incorporate few lightweight items in the GT3—Recaro seats, smaller battery, no spare wheel—the strengthening of the gear box and engine components pushed the dry weight of the GT3 higher by 30 kg (66 lbs) from the base 911. Lightening of the model with increased engine performance were reserved for the RS model, which unfortunately never made it to the U.S. shores within the 996 model line. Porsche launched the 996 MkII GT3 in 2003, which shared its engine with the 996 GT3 Cup model followed with the “Club Sport” model that was 50 kg (60 lbs) lighter than the base GT3. The 996 GT3 RS were developed to the FIA N-GT and Le Mans LM-GT standards and both the RS and the RSR were based on this model. The 996 MkI GT3 weighed 1,350 kg, whereas the dry weight of the GT3 RS was 1,138 kg, setting the clear advantage and purpose for the RS model line. So, two important trends we set with the original GT3 model line: (1) the base GT3 was developed to provide a higher level of track performance compared to the base 911 and sent the message that owner needn’t modify their cars and purchase one already modified by Porsche and included the usual warranty, (2) the base GT3’s performance came from inclusion of few sensible motorsports components and weight reduction of the model was reserved for the ultimate GT3 RS. Similarly all models of the 997-generation of GT cars utilized an improved version of the famous Mezger engine, including the 997 GT3 Cup, R, and RSR models. The number of part numbers that are common between the base GT3 and GT3 Cup is a key selling point of the model; many engine, suspension and gearbox components are interchangeable between all versions of the GT3, including the Cup models. Although the 997 GT3 is a superb vehicle both on the road and track, the ultimate track performance measures are still reserved for the 997 GT3 RS, including wider front and rear track widths, higher engine output, more performance oriented clutch and aerodynamics. And the rarest of them all is the 997 GT3 RS 4.0, which has now become a collectors’ item. Now the trend is changing however; new engine and transmission, a more compliant suspension, a longer wheelbase for increased stability, rear-wheel steering to decrease understeer and increase agility through turns, a paddle-shift transmission to make it easier on the driver through heavy traffic and increased performance on the track. Now anyone who can afford the new GT3 will be able to drive as fast or even faster than purists who spent years learning the art of driving fast in a 911 GT3. Will the GT line become more diluted with new drivers who don’t necessarily have to appreciate the history, pay their dues on the track for years to learn the finer points of managing the understeer and learn to manage the rear-engine biased oversteer or throttle steering out of corners? Tourists are good for the any car company’s bottom line and, perhaps, that is why Porsche must seek expanding their market to them. That slight shift in marketing does not mean the purists are not served also. We have not driven the 991 GT3 yet and as GT3 chief engineer Andreas Preuninger suggests, we should wait to drive it first to form our conclusions on the new GT3. However, for the purists it is not just about the numbers or even the intangible sensations you experience during the driving, it is also about heritage, history and culture. Change is always difficult to accept, especially when the outcome is unknown. I believe that over time, we will get over it. I believe that the new 991 GT3 will be not only be good in bringing new customers to the brand, but it will be even a better choice for drivers who look for multi-purpose performance cars. Time will tell how the new GT3 will prove itself. In the mean time, multiple teams that utilized Porsche 991 RSR and 997 RSR during 2013 Le Mans 24 Hours won both the GT Pro and AM classes, utilizing the proven Mezger engine and G50-derivative transmissions. If an engine/transmission combination can survive 24 hours of racing under the sun, rain and mix of asphalt conditions, where 75% of each lap is spent under 100% throttle, I think we can be certain the same fundamental engine/transmission combination will last over 100,000 miles of street/track driving under our hands and feet. These victories’ meaning and what it represents is the core objections that purists have, but we will also welcome the tourists who want to share and learn our values over time.